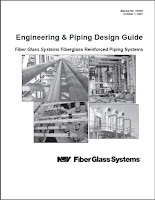 This document establishes the minimum requirements for the periodic inspection, testing, and maintenance of waterbased fire protection systems, including landbased and marine applications. 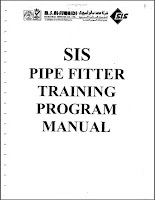 The types of systems addressed by this standard include, but are not limited to, sprinkler, standpipe and hose, fixed water spray, and foam water. Included are the water supplies that are part of these systems, such as private fire service mains and appurtenances, fire pumps and water storage tanks, and valves that control system flow. The document also addresses impairment handling and reporting. This standard applies to fire protection systems that have been properly installed in accordance with generally accepted practices. Where a system has not been installed in accordance with generally accepted practices, the corrective action is beyond the scope of this standard. The corrective action to ensure that the system performs in a satisfactory manner shall be in accordance with the appropriate installation standard. 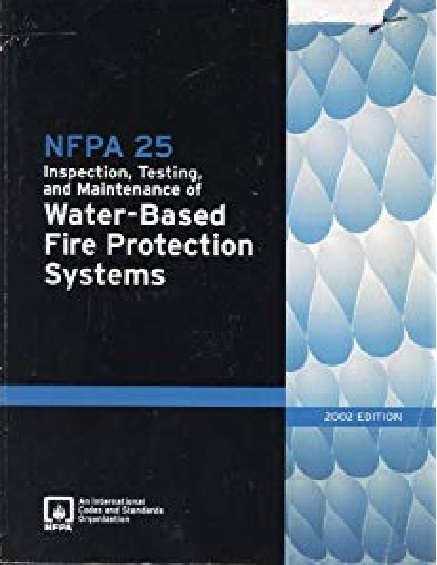 The purpose of this document is to provide requirements that ensure a reasonable degree of protection for life and property from fire through minimum inspection, testing, and maintenance methods for waterbased fire protection systems. In those cases where it is determined that an existing situation involves a distinct hazard to life or property, the authority having jurisdiction shall be permitted to require inspection, testing, and maintenance methods in excess of those required by the standard.